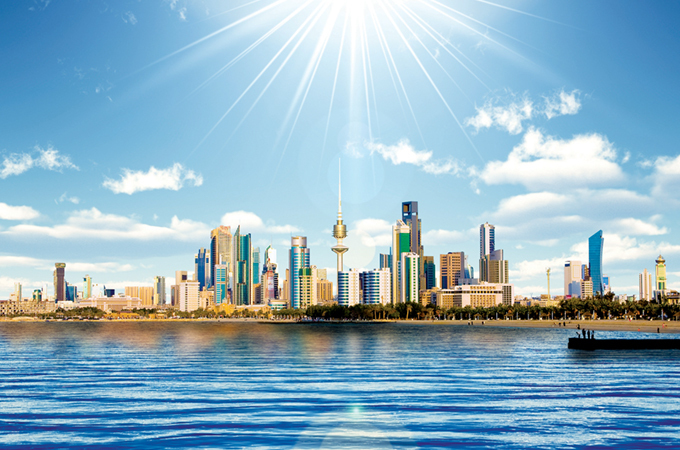 KUWAIT Vision 2035 is slowly changing the Kuwait of today to the Kuwait of the future with new mega projects on its islands, massive causeways under construction and plans of a new, 250-sq-km city, north of the capital. 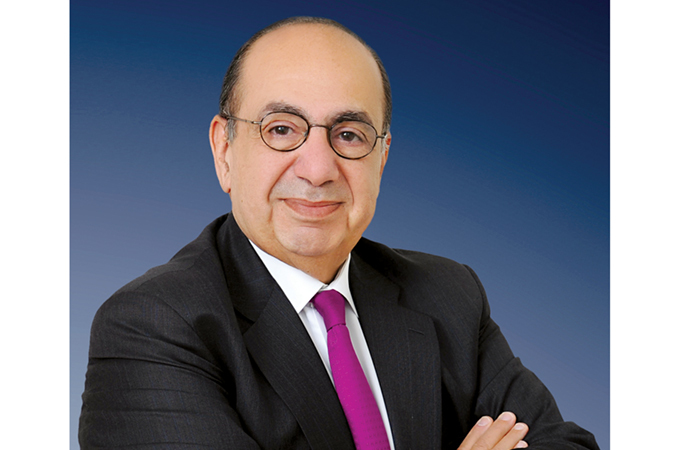 However, in the immediate future, ADR could drop by up to 15 per cent if the trend for 2018 continues well into 2019, says secretary general of Kuwait Hotel Owners Association, Mohamed A Najia. We speak in-depth to Kuwait’s hospitality veteran, who has been hospitality advisor for Kuwait Government and project coordinator responsible for Kuwait Tourism Strategy study in cooperation with UNWTO and UNDP. Do you notice any new trends in the Kuwait market? We can see a shift between current existing hospitality chains as well intense competition between the four- and three-stars segment. There is a new demand for furnished apartments, which has been growing in the past three years and is taking its share of the market. Can you tell us about Kuwait 2035 vision, from the travel and tourism perspective? Kuwait’s Vision 2035 plan includes developing Kuwait Islands of Failaka and Boubyan as well developing a new Silk City. The main idea is that these projects would reshape the look and feel of Kuwait and the investment would attract business partners, corporates, educational institutions, leisure operators and many more. Kuwait has bright future, it is only a matter of time before these projects are realised. Failaka Island is rich with culture and history dating back to the Bronze Age and Hellenistic period. Throughout history, the island has hosted Mesopotamian, Dilmun and Greek settlements as well as Middle and Late Islamic settlements. Kuwait Vision 2035 aims to turn these existing archaeological sites into international attractions and museums, by providing easy access to the island from Kuwait and other regions. Failaka Island will be a meeting point of cultures and knowledge, and will communicate Kuwait’s history to the world. Boubyan Island, which has 863 sq km of valuable, vacant area, is the existing location of Mubarak al Kabeer Port, strategically located between Iraq and Iran. Its natural reserves serve as a migration stop for birds and the temperature is 5 per cent lesser than main Kuwait. A mega project is envisioned on this island, which is also a perfect place for pisciculture, rowing competitions, scientific tourism and eco tourism. The vast empty spaces are also envisioned to be used to harvest solar energy. Located in the northern area of mainland Kuwait, Silk City is a 25-minute drive from Kuwait City through the Jaber Al Ahmed Causeway, currently under construction. The 250-sq-km Silk City is envisioned to be an epicentre for financial institutions, with easy to access Boubyan Island and an international airport. Can you tell us how the Kuwaiti hospitality market performed in 2018 (in terms of occupancy and ADR)? What is the projection for 2019? Last year has been another challenging year throughout Middle East. In 2018, Kuwait managed to keep growing its ADR by 2 per cent. That gave us a year-end 2018 RevPAR per cent change of -1 per cent. The year 2019 started rough and we expect that it will close below 2018. We expect to have similar occupancy as 2017, which means drop of -3 per cent to -5 per cent, however the ADR drop could be -10 per cent up to –15 per cent – if the trend continues – which will negatively reflect hotels RevPAR. Is Kuwait Tourism specifically targeting any markets to increase tourism? Kuwait is mainly focusing at present on GCC travellers. However, once the tourism strategy is implemented we can expect tourists from other countries too. What role can the Kuwaiti government play in helping the hospitality sector? Kuwait must overcome challenges such as establishing tourism law and tourism authority, recognising the hospitality sector and investing in tourism marketing. Recognising tourism as an industry in Kuwait and promoting Kuwait as a destination will be the first steps in attracting tourism. Can you comment on current visa costs and procedures? No visas needed for GCC nationals and residents, while 35 nationalities can obtain visa on arrival. There is also an online visa portal. Who are the most important feeder markets for Kuwait in terms of tourists and visitors? Can you share any visitor numbers from 2018? The highest number of visits come from Saudi Arabia at 86 per cent, Bahrain ranks second with 8 per cent visitors, the UAE brings 3 per cent, Qatar 2 per cent and Oman 1 per cent. Is there some leisure travel in Kuwait or mostly business-related travel? Do you see this trend changing? We can see a shift in our leisure segment since reformations took place in Saudi Arabia. Today Kuwait still enjoys visitors from Saudi Arabia but not as much as before, where on other hand, we receive new flow of visitors from Oman, Bahrain, Qatar and the UAE. Can you tell us about the currently ongoing airport expansion programme? Construction of the new terminal at Kuwait International Airport started in May 2017 and is expected to complete in 2022. The new state-of-the-art terminal will be constructed in phases, with the first phase adding a capacity of 13 million passengers a year with the introduction of a triangular building with 28 gates, 4,500 additional parking spaces and a 400-bed airside hotel. The subsequent phases will enhance the capacity to between 25 million and 50 million passengers a year. Will the opening of the tennis complex later this year, lead to growth in travel and tourism? The Sheikh Jaber Al Abdullah Al Jaber Al Sabah International Tennis Complex aims to put Kuwait on international tennis map. The newly expanded 360 Mall, with the tennis complex, is expected to open its doors later this year. The mall extension is expected to increase the footfall by at least 30 per cent to over 18 million visitors. It will bring new retail brands to Kuwait, along with a five-star hotel, restaurants, a ballroom and health club. The tennis complex will have a combined stadium seating for over 7,600 people across two main arenas, each with the capacity to hold 4,000 and 1,600 people respectively, eight indoor courts with over 500 seats and eight outdoor courts with 1,500 seats. Spectators will have direct access to the tennis arena from 360 Mall, the 2,000-car multi-story parking, and from the 6th Ring Road. The main tennis arena when not being utilised for tournaments will serve as an entertainment anchor for 360 Mall and provide a venue for leisure and recreation with a yearlong calendar of events and activities.